How much I miss this little face! Hi Under the Oaks readers! I’m Lindsay; wife to Justin, mom to Carson, self-proclaimed fitness and nutrition nerd. A little over a year ago (wow – time flies!) I had just delivered my son unexpectedly early and found myself struggling to stay on track at home. The first days, weeks, months of motherhood are really survival of the fittest. I recall grabbing whatever I could eat with one hand, 3 minute showers, and falling in love with the simplicity and ease of Clorox wipes. It is definitely a time where convenience trumps everything. 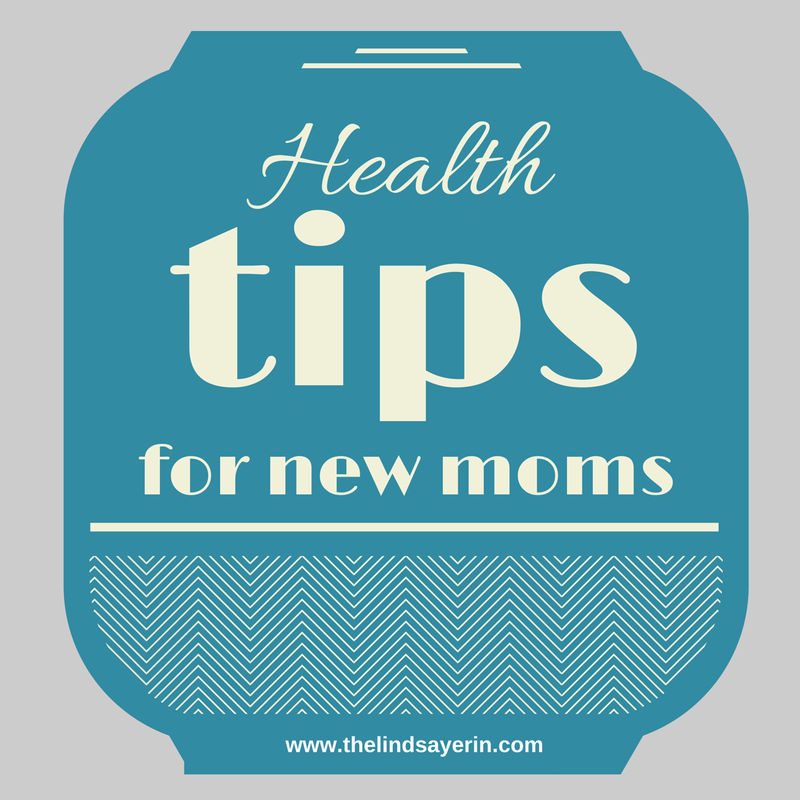 There are a few things you can do as a new mom to stay healthy that don’t take a lot of time or energy. 1. Keep fresh fruit and vegetables in eye sight. A lot of people suggest keeping fresh fruit and vegetables on hand, but I would go one step further and say to have them out in front of you so that when you are hungry, you reach for those choices instead of a bag of chips. Put your fruit bowl on the very first surface you see when you enter your kitchen. Have veggies in clear containers at the front of your fridge. This is so much easier said than done, but the time it takes to plan pays off throughout the week. The first few months Carson was born, I was guilty of trying frozen meal after frozen meal from the supermarket. We had never eaten them before so I was literally trying them and hoping they would taste good. It is good to have those on hand, but it is best to plan out your meals and do as much prep up front (while daddy is home to help) so that the weeknights are easier. Utilize your crockpot, make one dish meals, or casseroles. I found if I could put something in the oven or the crockpot and not stand at the stove, that worked best for me. For quick and easy lunches I love these simple mushroom pizzas or this cucumber tomato salad. 3. Get a water bottle with a straw. This sounds silly, but it is essential as a new mom to stay hydrated. Still I carry around this water bottle everywhere I go because it holds 32 ounces, has a straw (we drink more out of straws – think about the last time you had a milkshake), and with the push of a button I can drink out of it which means I can hold a baby in one hand and the water bottle in my other. Everyone tells you to sleep when the baby sleeps. I couldn’t. I’m not a napper. However, don’t fill every napping moment with household duties. Instead, sit on the couch with a cup of coffee or tea and read a magazine, watch reality tv, or scroll through Instagram. Just rest. 5. Give yourself some grace. You just delivered a miracle. Do not expect yourself to lose the weight overnight or in the course of a few weeks. Do not expect to be able to go out and run a 5k as soon as the doctor clears you for activity. Be patient and gentle with yourself. The worst thing you can do is stand in the mirror and analyze every little thing that doesn’t look the way it once did or list the things you once could do and now can’t. You will get there. It will take time. So give yourself a grace period. I love sharing fitness/nutrition tips and healthy recipes over at my blog, Lindsay Erin. I would love to have you pop over and read about my goals, the things I do to keep myself sane, or my ventures in health and fitness for my family. Thanks for contributing to the Mamahood Advice Series, Lindsay! Mamahood Advice series features blogging mamas from around the web each month sharing their advice for new moms. Interested in being a guest blogger for this series? Email me! hello [at] undertheoaksblog [dot] com. Hello there, Under the Oaks readers! My name is Stephanie and I blog over at Girl Versus Dough – mainly about yummy foods, but also sometimes about the little love of my life, my baby daughter Avery. I’m going on a year now with life as a mom so while I can’t say I’m by any means an expert on all things baby, I do know a thing or two about scrubbing mashed avocado out of a rug, teething tantrums and changing a blown-out diaper in the back of a car on the side of the road in the middle of a cornfield. Aren’t you excited to read more already? But in all seriousness, Annie asked me to write today a little bit about my experience with the whole “work/life” balance thing as a new mama – something I must admit I’m still trying to figure out. But I’ll start at the beginning and work my way toward the present, and hopefully you can glean a thing or two from my experiences.